Receive 20% Off Rent on Select Offices Only. Call (212) 878-3626 to schedule your visit. Celebrating the Holidays with the Chanin staff! Like every other year, Virgo holds a Client Holiday Party. This year the team at Empire wanted to get the clients excited and involved in the event. We decided to make it an Ugly Sweater themed party, which was optional of-course. 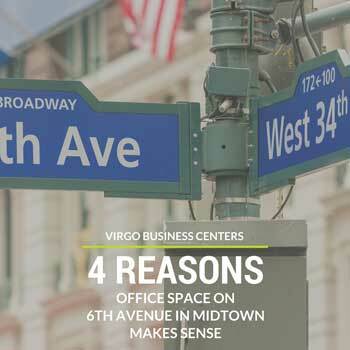 Having office space in Midtown Manhattan adds prestige, class, and reliability to any new business owner’s brand. These office spaces can also be competitively priced while retaining flexibility, making the move even that much more appealing. Furthermore, startups are guaranteed a professional atmosphere alongside other influential office spaces in the area, especially on skyscraper-lined 6th Avenue in Midtown.